By agreeing to be a member of our mailing list, you are agreeing to be bound by these website Terms and Conditions of Use, all applicable laws and regulations, and agree that you are responsible for compliance with any applicable local laws. The materials on Gentlewomen’s Club’s website are provided “as is”. Gentlewomen’s Club makes no warranties, expressed or implied, and hereby disclaims and negates all other warranties, including without limitation, implied warranties or conditions of merchantability, fitness for a particular purpose, or non-infringement of intellectual property or other violation of rights. Further, Gentlewomen’s Club does not warrant or make any representations concerning the accuracy, likely results, or reliability of the use of the materials on its Internet website or otherwise relating to such materials or on any sites linked to this site. In no event shall Gentlewomen’s Club or its suppliers be liable for any damages (including, without limitation, damages for loss of data or profit, or due to business interruption) arising out of the use or inability to use the materials on Gentlewomen’s Club’s Internet site, even if Gentlewomen’s Club or a Gentlewomen’s Club authorized representative has been notified orally or in writing of the possibility of such damage. Because some jurisdictions do not allow limitations on implied warranties, or limitations of liability for consequential or incidental damages, these limitations may not apply to you. The materials appearing on Gentlewomen’s Club’s website could include technical, typographical, or photographic errors. Gentlewomen’s Club does not warrant that any of the materials on its website are accurate, complete, or current. Gentlewomen’s Club may make changes to the materials contained on its website at any time without notice. Gentlewomen’s Club does not, however, make any commitment to update the materials. 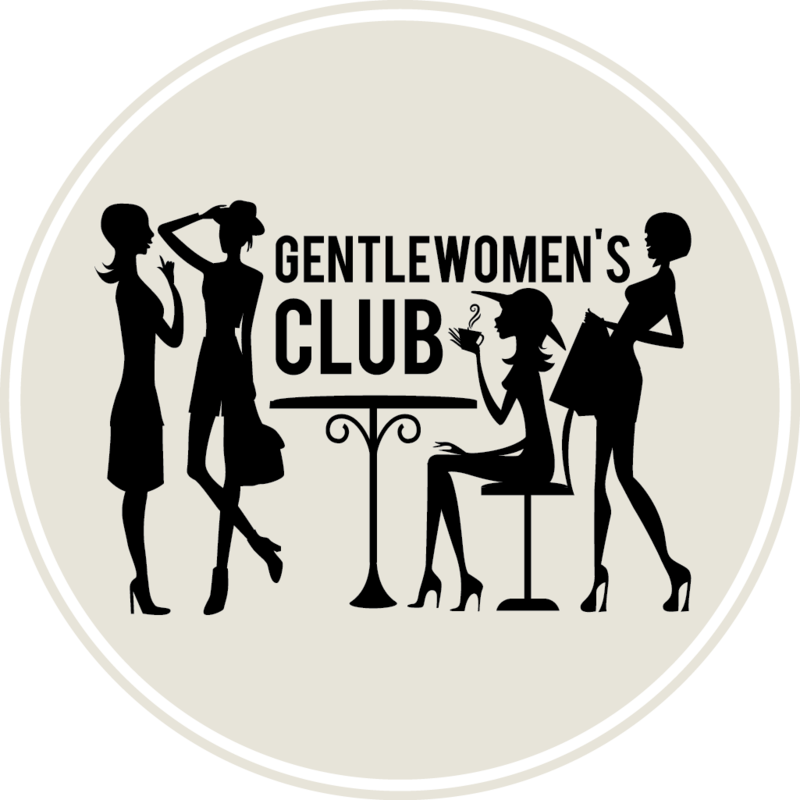 Gentlewomen’s Club has not reviewed all of the sites linked to its Internet website and is not responsible for the contents of any such linked site. The inclusion of any link does not imply endorsement by Gentlewomen’s Club of the site. Use of any such linked website is at the user’s own risk. Any claim relating to Gentlewomen’s Club’s website shall be governed by the laws of the State of United Kingdom without regard to its conflict of law provisions. We will make readily available to our members information about our policies and practices relating to the management of personal information. We are committed to conducting our network in accordance with these principles in order to ensure that the confidentiality of personal information is protected and maintained. Gentlewomen’s Club are committed to protecting and respecting your privacy. We work to keep our policies in line with the latest legislation (GDPR). The data you provide will be used for the purpose stated at the time of collection i.e., to manage our mailing list and invite you to events and initiatives that we organise. In the event that you do not wish to be contacted for such purposes, you may unsubscribe from our contact list at any time by clicking on the unsubscribe link that can be found in the footer or any of our emails. We implement a variety of security measures to maintain the safety of your personal information included using a secure data site which can only be accessed by those that have signed a confidentiality agreement. We do not sell, trade, or otherwise transfer to outside parties your personally identifiable information. This does not include trusted third parties who assist us in operating our website, or servicing you, so long as those parties agree to keep this information confidential.